Christina Crosthwaite - Fringe / A Salon Inc.
Christina is our resident Renaissance Woman. Passionate about all things avant-garde, she started designing and sewing her own fashions, which led her to the beauty industry in 2004. 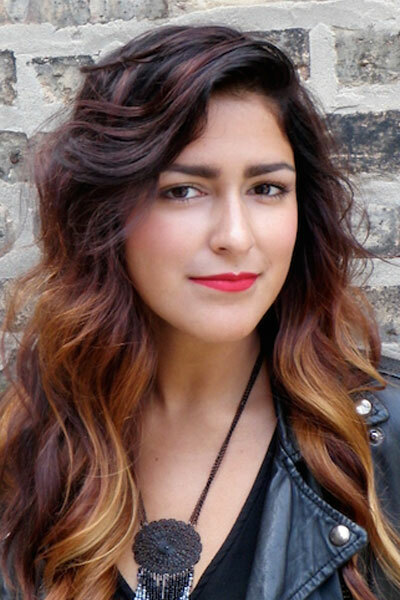 Christina is Aveda educated and in 2011 was honored by Chicago magazine as one of the best hairdressers in Chicagoland She has special training in runway and session work, so it makes sense that she draws inspiration from vintage style and then gives it her own modern twist. Christina cites Vidal Sassoon as one of her hair idols and embraces his philosophy of cutting-edge technical application. From curly hair to pixie cuts, as well as artfully applied color, she likes thinking outside the box to give her guests the look they never knew they needed. Christina is a longtime musician and an avid world-traveler and is constantly creating new experiences to inspire her work as a stylist.